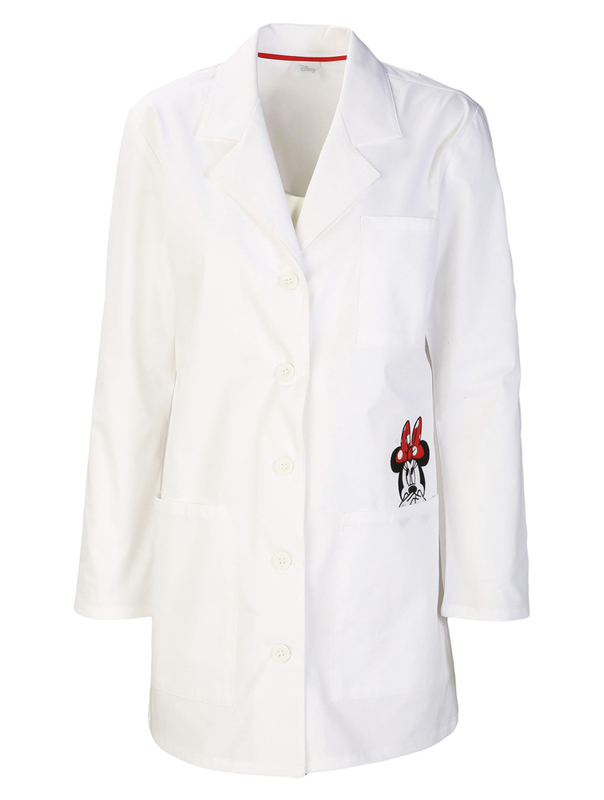 A Modern Classic fit notched collar lab coat features a cute embroidery at the wearers left pocket. Two front patch pockets, a single chest pocket and faux back belt complete this look. Center back length: 32"